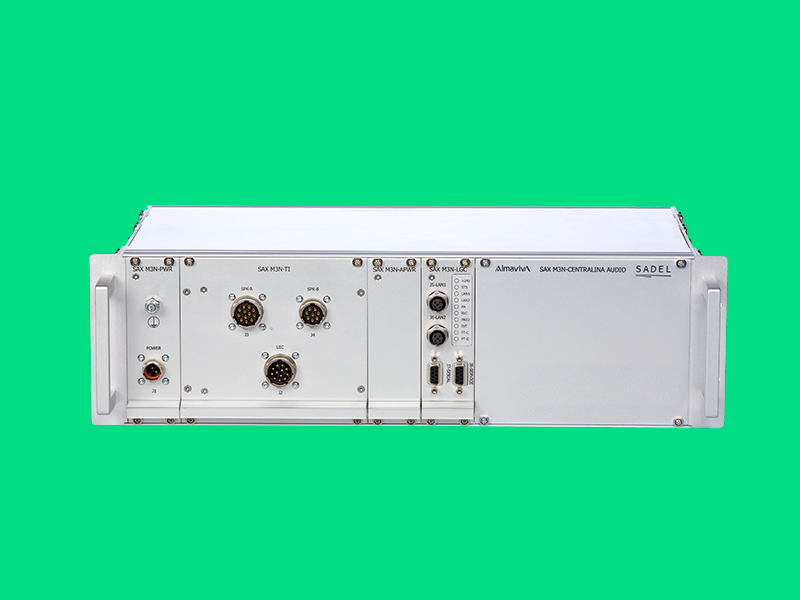 SAX3n is a double technology analogue and digital audio Public Address unit for delivering standard PA messages and high priority warnings to the passengers and to broadcast music and entertainment audio. Analog UIC568-compliant and digital audio handling, together with multiple loudspeakers line driving and high audio quality allow SAX3n to create a PA system in compliance with the TSI LOC&PAS and PRM normatives, in terms of security and service reliability. The communication is realized with a double Ethernet connection, ensuring redundancy and fault tolerance towards IP backbone network. The audio processing and amplification use state-of-the-art devices like high efficiency amplifiers and programmable digital audio processor. The Train Staff Handset for manual announcements can be automatically interfaced through the IP network or it can be integrated in SAX3n system for a compact all-in-one solution. SAX HS is an on-board Handset designed for Public Address and Intercom functions on rolling stock. 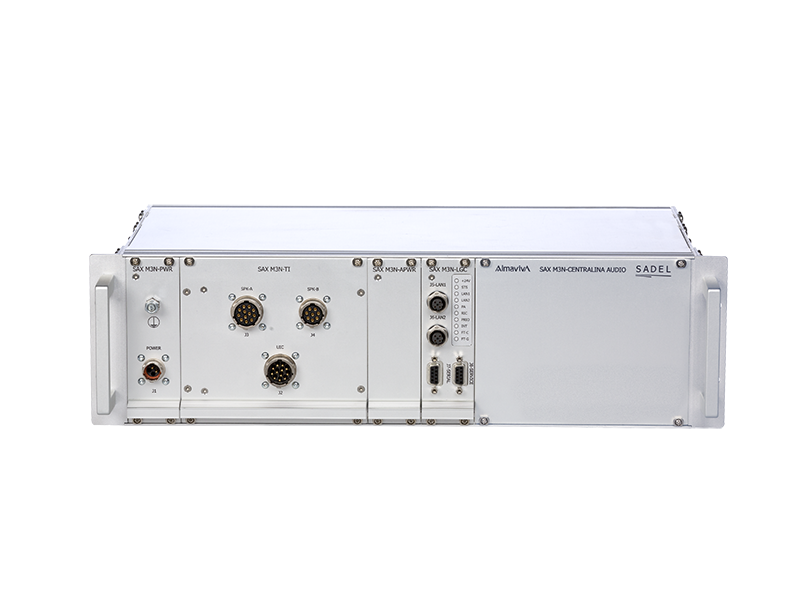 It supports double technology analogue UIC568-compliant and digital/VoIP audio allowing to be used as a building block for a TSI PAS&LOC and PRM Public Address and Passenger Alarm System, also in compliance with EN16334. 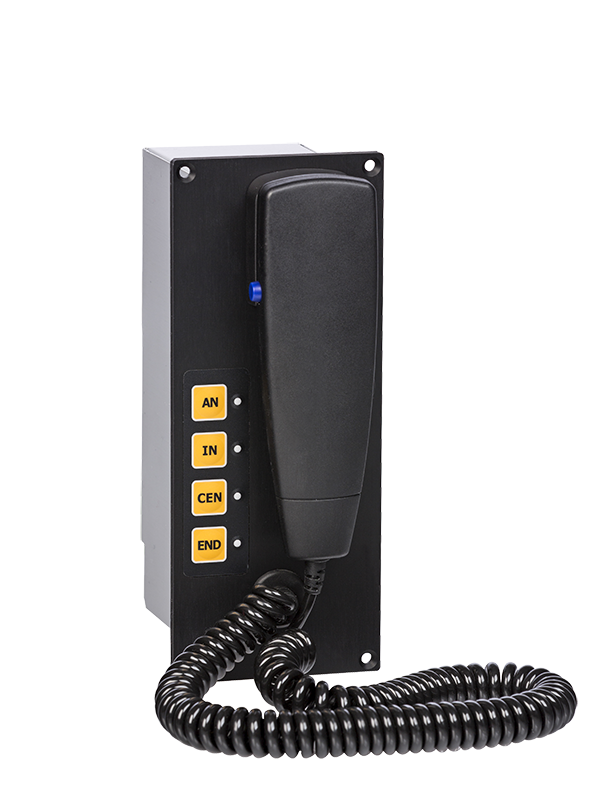 It is equipped with high sensitivity microphone and loudspeaker, mechanical safety clamping and Push to Talk (PTT) pushbutton. Customized pushbuttons, optional buzzer and on/off-hook function fulfil the requirements for any Train Crew operation. SAX PAI, Passenger Alarm Intercom, allows the communication between passengers and train staff and driver and supports emergency calls. 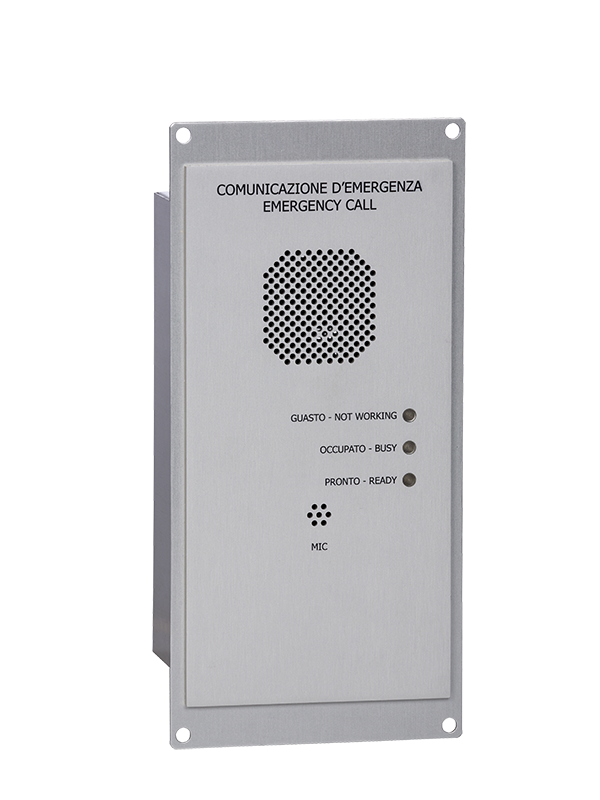 It provides double technology analogue UIC568-compliant and digital/VoIP audio allowing to be used as a building block for a TSI PAS&LOC and PRM Passenger Alarm System, also in compliance with EN16334. SAX PAI is equipped with a high quality built-in microphone and loudspeaker and it implements echo cancellation for the best audio quality communication. It is possible to adapt the mechanical layout of the product to the train constructor needing. Moreover, the front cover, pushbutton, connectors and leds can be designed upon customer request.